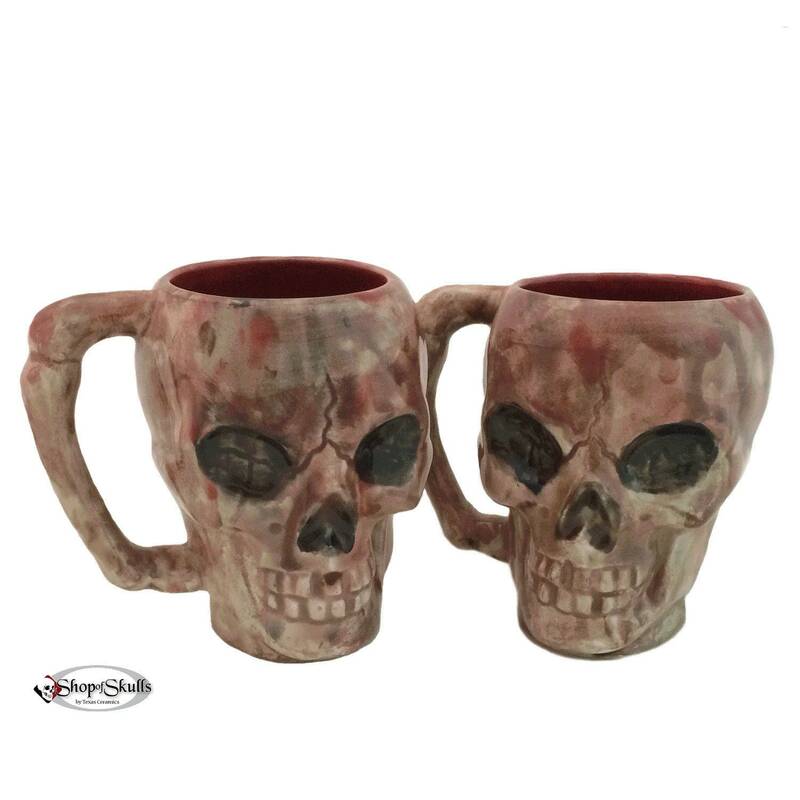 This ceramic skull mug or coffee cup is finished in a wash of rustic brown tones and red. 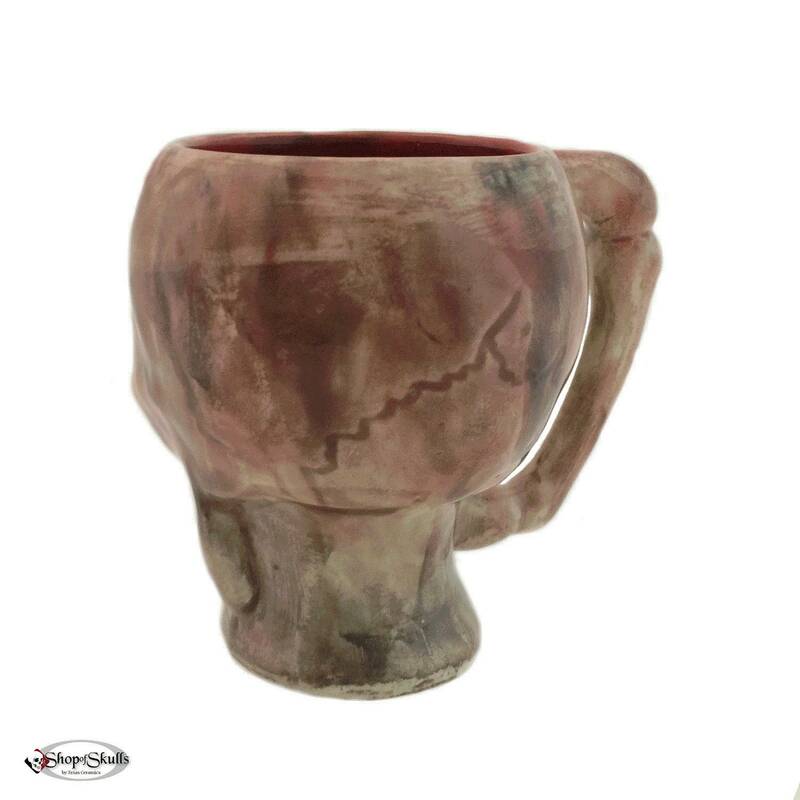 The inside is finished in lead free glaze, the handle on this mug is a solid bone style handle. This skull is made to be used, the inside is also glazed in food safe glaze. 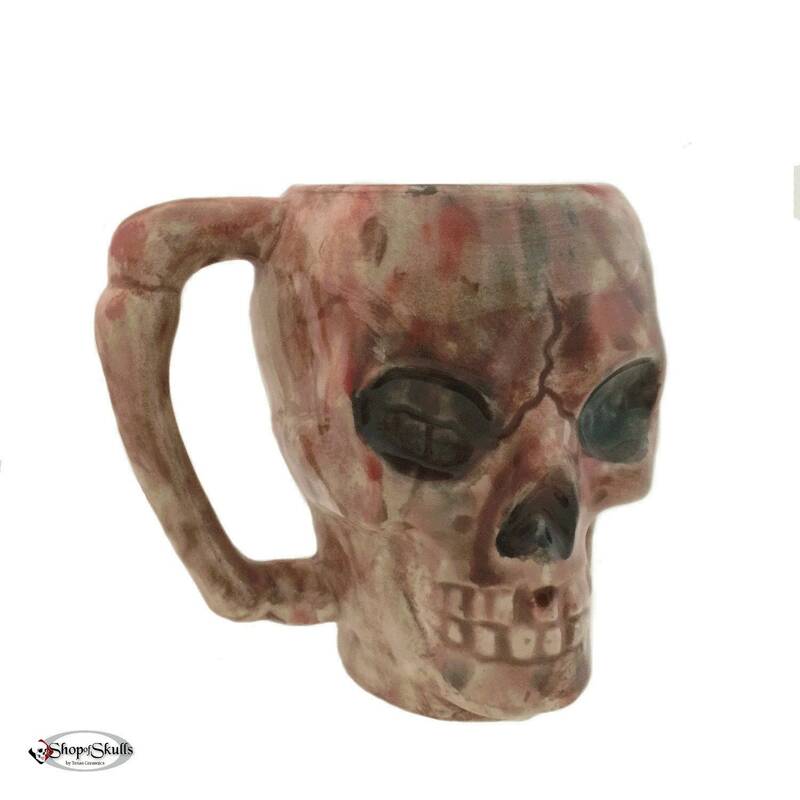 This one of a kind item made for my Shop of Skulls by Texas Ceramics. • It holds 8 ounces comfortably.